Robin joined Northern Powergrid in October 2016. Fresh from a teaching role with no formal electrical background. Because of this, he worked ten times harder than the rest of the course colleagues which was recognised with a distinction. Robin has family in Wales, but initially settled down in York with his partner, Cait. After a fairytale courtship they proudly brought Eden into the world. They all moved to Northallerton so Robin could fulfil his dream in Technical Services. No more than a few months later Robin was found deceased at his new family home. A proud man, and one we are proud to have had the opportunity of calling our friend. You will be sorely missed Robin. You leave us all with good memories and will be forever in our hearts. Cardiac Risk in the Young (CRY) is a humanitarian charitable organisation helping to raise awareness of young sudden cardiac death (YSCD, SCD), including sudden arrhythmic death syndrome (SADS, SDS). CRY was established in May 1995 by Alison Cox MBE and is based in the United Kingdom. 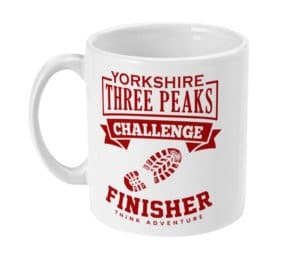 The charity supports the families of victims of YSCD, facilitates the heart screening of young people through cardiac testing programmes and contributes to medical research. 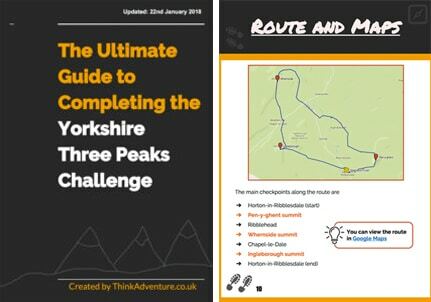 You can submit your own challenge, photographs and charity information to the Think Adventure website for free. 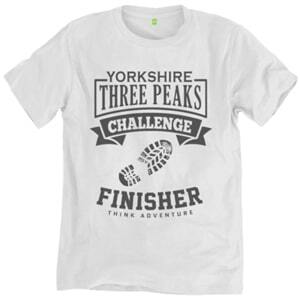 It’s a great way to promote your Yorkshire Three Peaks walk.